Thank you @DawnB for the awesome zap! I love this pin. So punny!!! Glad you like it. I realize I forgot to put a note in the LBE. I hope Cyke received his zap. I received my awesome zap from Katherine (Krand1276). 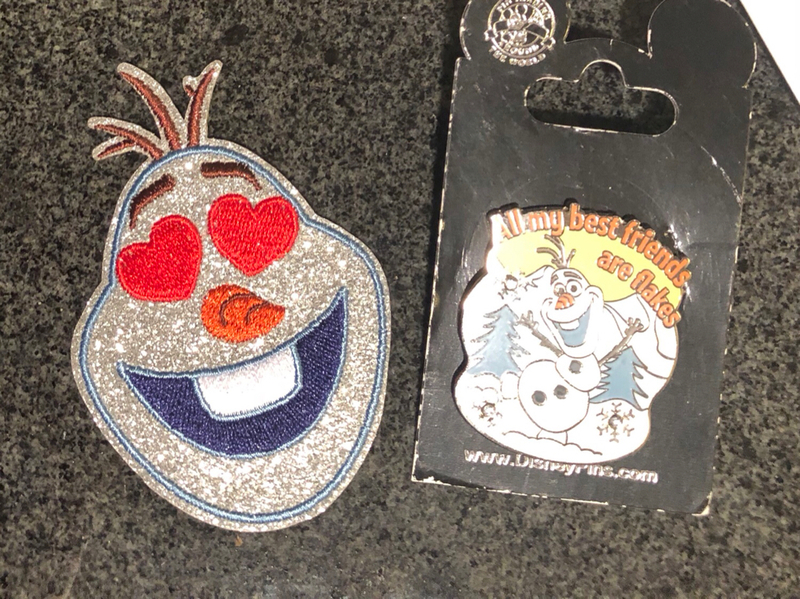 Thanks so much for the great pins! I really appreciate your thoughtfulness! I received an awesome zap from Sockgnome! 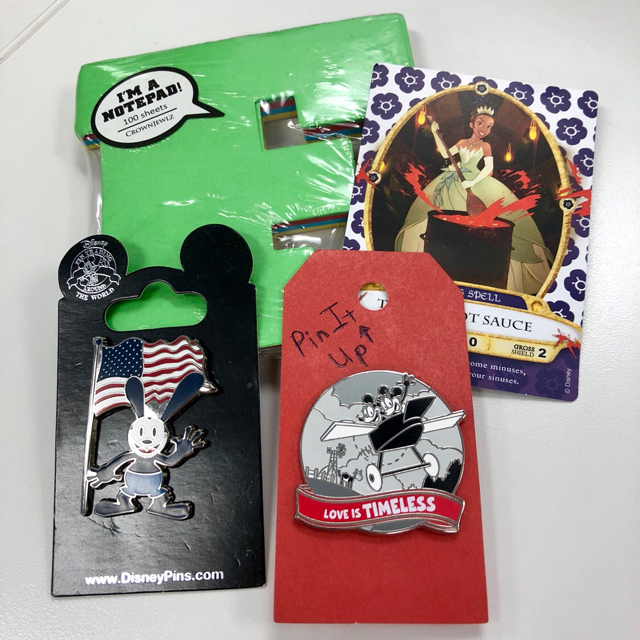 Villain stickers, Ariel stickers and two pins that I'm super excited about. Thank you so much! sockgnome, Sami and watzshakinbacon like this. Congrats, I especially like those villain stickers! 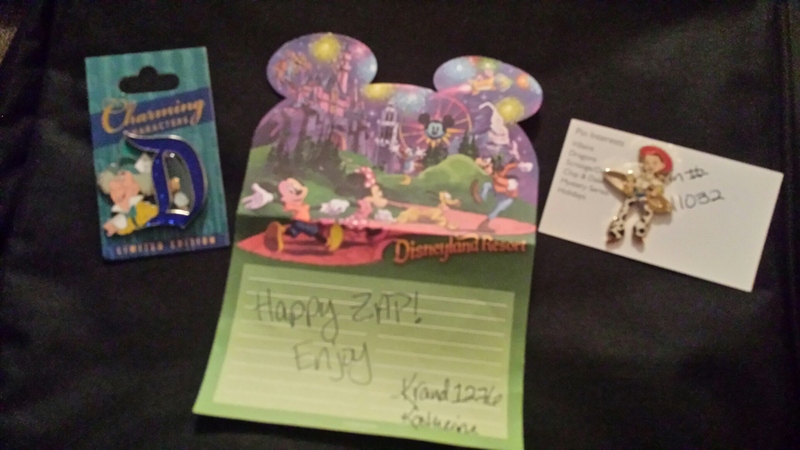 Thank you so much @pins4twins for the zap and the very sweet note! I love it all so much!!! No problem. Glad you like them. 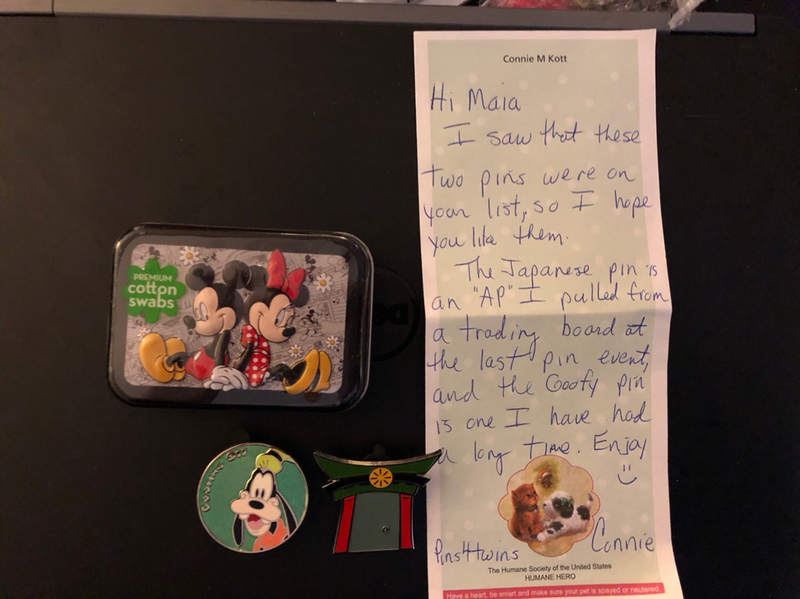 Happy the Japan pin found a home with someone who wants it. I think that's a tin with q-tips in it? @Tokaji @RachaelNunez Yes! It's a tin with q-tips. SUPER CUTE!!!! Got my Zap from Timeerkat! 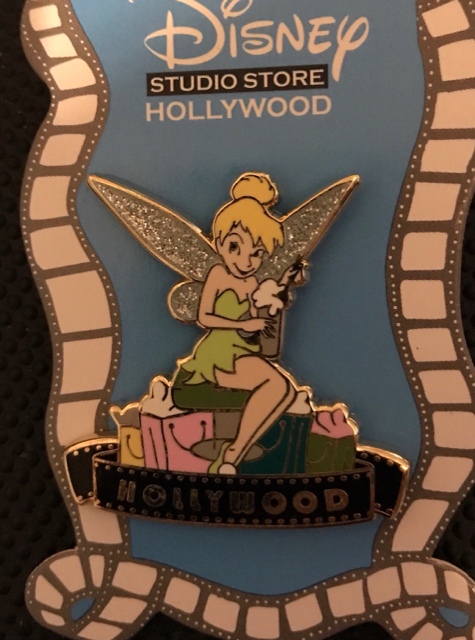 Really love Chip and Dale pins and they are so cute on this pin. Thanks so much Tessa. Thank you slbrabham for the pins and goodies! The Love Is pin was one of the final ones I’m missing from that set. mickeymousje and slbrabham like this. Glad I could help with the LiaA set. It's one of my favorite sets. I think the words work well on them. 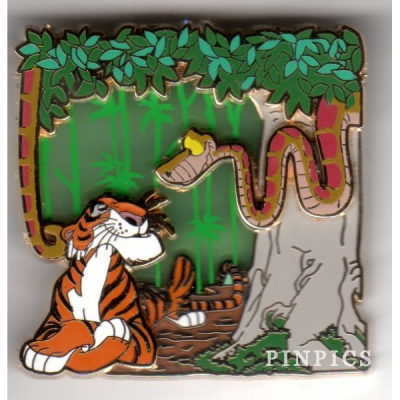 I received my pin it up from Khossler , It's a lovely Jungle Book limited edition pin from my wants list. Pinpics number 125966. Such a nice surprise. Thank you,I love it! Thank you @GreyWyvern! Love Venom and the Star Tours Troopers pins. Sami and GreyWyvern like this. @Snoffsan sent me my Zap from the Pin It Up game ... and I love it. It was so much cute stuff that it was a challenge to everything in one picture. The Dr. Facilier pin is one that I have been trying to trade for with others. The Shanghi extras were a great surprise as was the Wish bracelet. This was a thoughtful package and greatly appreciated. Sami and krand1276 like this. OMG! What a zap from DisneyChildWithin! Puts me to absolute shame and fills me with complete glee! 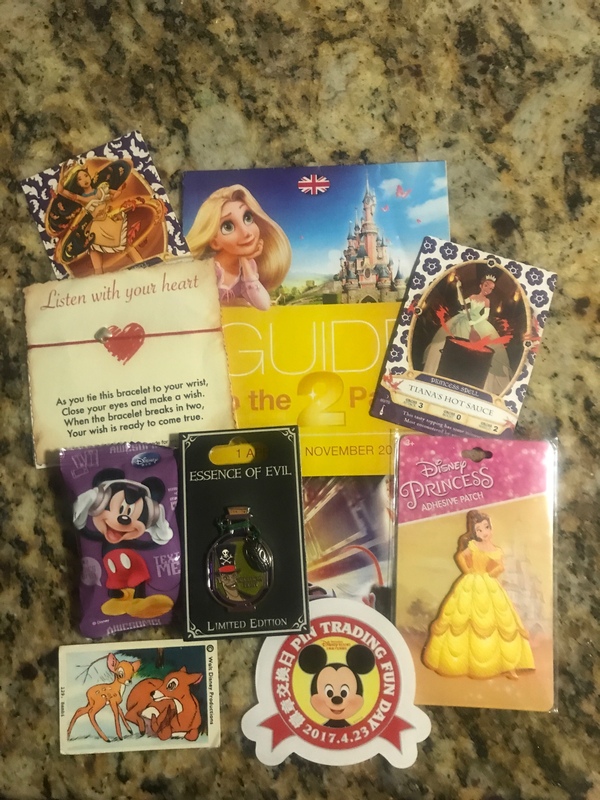 Princess pop up play scene with stickers, Lady Tremaine key chain, Tsum tsum pen, Scary Teddy(!) Tsum tsum plush, a Dr Facilier LE DSSH pin, and a Maleficent horns headband that I WILL be wearing at work on Monday! Thank you so much, Lucy! This is amazing! Sami, Disneychildwithin, watzshakinbacon and 2 others like this. Here's my zap from khossler, I've wanted this guy for the longest, it's my favorite Phil pin! watzshakinbacon, Sami and krand1276 like this. Yay! So glad you liked your gifts! I was afraid you might've already owned the mali headband.